Using the train to get to a cycle route makes it possible to explore further and to make cycle trips sustainable. It means you can sit back and enjoy the scenery. 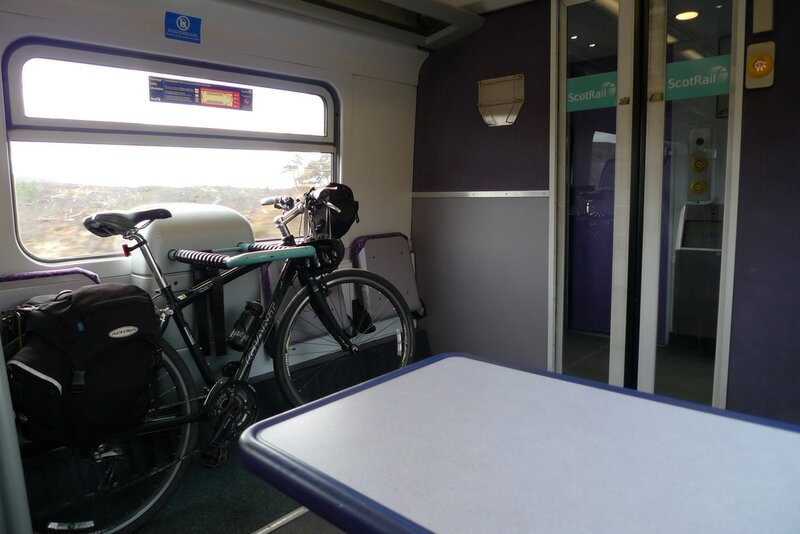 It is free to take your bike on a train in Scotland, but on many rail routes you must make a reservation as there is limited space on the train. This page provides you with all the necessary information about getting your bike on a train. Do you need to book your bicycle onto a train? Not always. ​Some trains do not require a booking for cycles and operate on a first-come basis. This includes the Edinburgh to Glasgow Queen Street and Edinburgh or Glasgow to Stirling/Dunblane route. Other routes, such as Edinburgh/Glasgow to Inverness or Inverness to Wick/Thurso require a bicycle reservation. 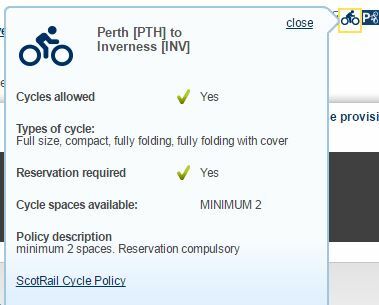 How do I find out if bicycle reservations are required on a particular train? As there is limited space for bikes it is advisable to plan your trip as far in advance as possible. There have been a couple of times when I have wanted to get away for a weekend, but discovered that I cannot go because the bike spaces have been booked up. If you have not booked a bike space staff are likely to refuse to take your bike. You do not want to end up stranded somewhere where rail services are infrequent, so it is not worth chancing it by turning up without a reservation. The number of bike spaces available on a particular train depends on the type of train that is used on the route you are taking. 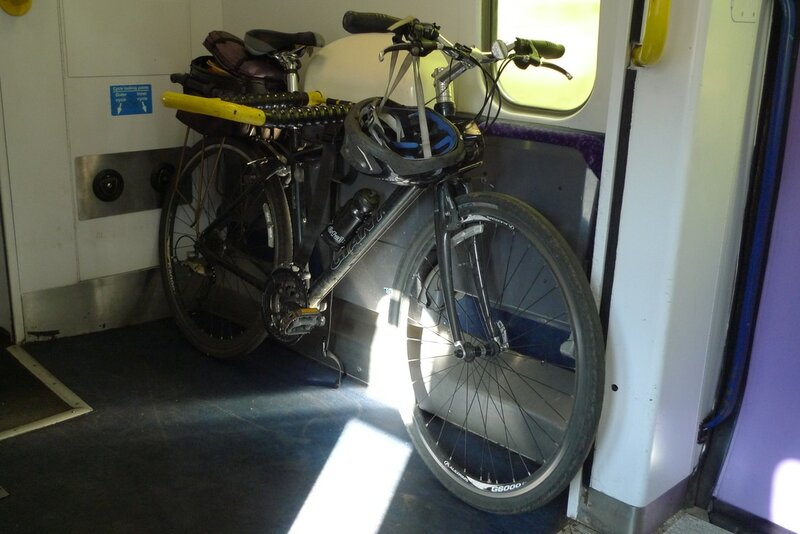 For example, the Class 156 units that are used on the West Highland Line (Glasgow to Fort William and Mallaig) can take 6 bikes per 2-car train. The Class 158 units that are used on the Far North Line can take 4 bikes per 2-car train. You can buy the tickets via the national rail website. 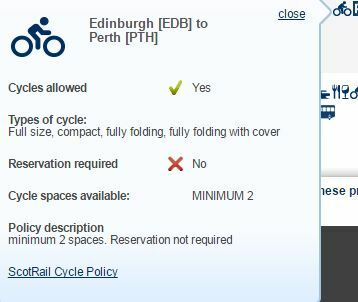 It will redirect you to Scotrail's website where you can make an online reservation for bicycle spaces. You have to pay a delivery charge to have the tickets posted to your address, although I think that it is free if your train station is not staffed and does not have a ticket machine. It is free to collect tickets from one of the ticket machines at the station. You will receive a reference number that you type into the machine. It will also ask you to put your payment card into the machine. The tickets will then print off. You will receive two tickets for your bike. One to show to the ticket inspector- it states "passenger copy" in the top left corner. 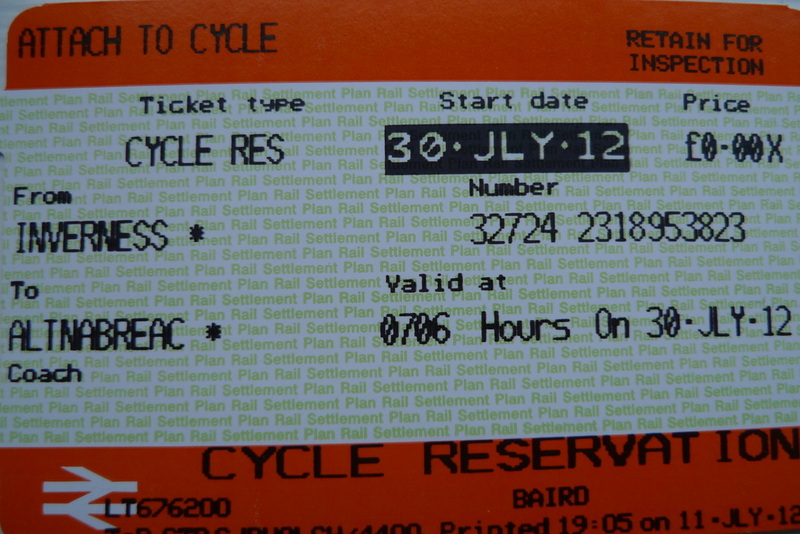 The other ticket states "attach to cycle" in the top left corner. 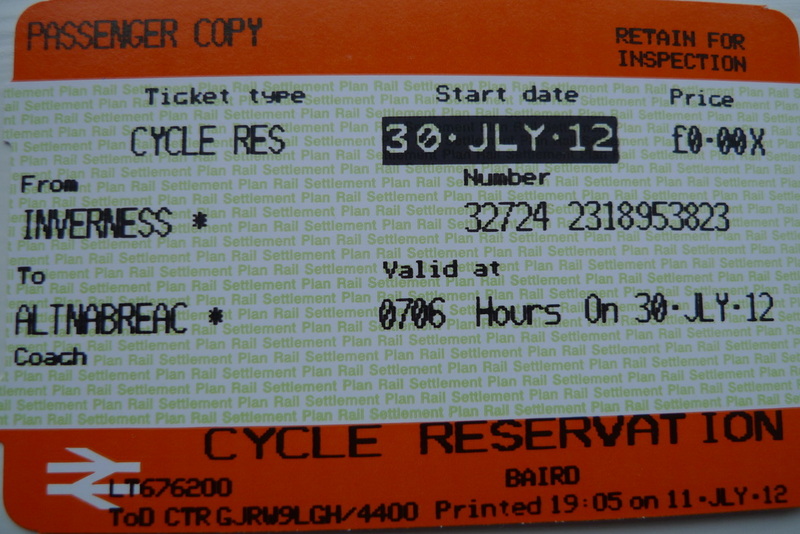 On Scotrail trains most cyclists do not bother to attach the ticket to the bicycle and I have never been asked to do so by staff. ​Look for the little bicycle symbol on the carriage doors. As the train pulls into the platform always try to spot the bike symbol before the train comes to a stop, so that you can get yourself to the correct door and do not risk missing the train. The arrangements for cycle storage depends on the type of train. One of the easiest types of train to physically get your bike onboard is the Class 170. They have wide double doors and it is easy enough to wheel your bike to the adjacent storage area, where the bike sits on a storage bar (see image below). You have to lift your bike up and over this bar, although sometimes I don't use the bar and just rest it underneath, especially if my bicycle is the only one on the train. Class 170 trains currently operate on the Edinburgh to Glasgow Queen Street route. They can also be found on Glasgow and Edinburgh to Inverness routes. Class 158 trains require a bit more effort to get your bike onto. They have narrow double doors that can be tricky to negotiate. Once on the train you might then have to move your bike around a bit to get it into the storage area. Sometimes the storage area is inside the passenger area which involves getting the bike through a narrow door that is operated with a push button (see images below). These trains operate on the line from Inverness to Wick, the Borders Railway and sometimes used on the Edinburgh/Glasgow to Inverness lines. Class 156 is used on the West Highland Line (and some other routes like Glasgow to Stranraer). It is probably the most challenging to get your bike onto, but once you have done it a couple of times you will be fine. There is a single door into the carriage and the storage area requires that you are able to lift your bike up and hang it from a hook. 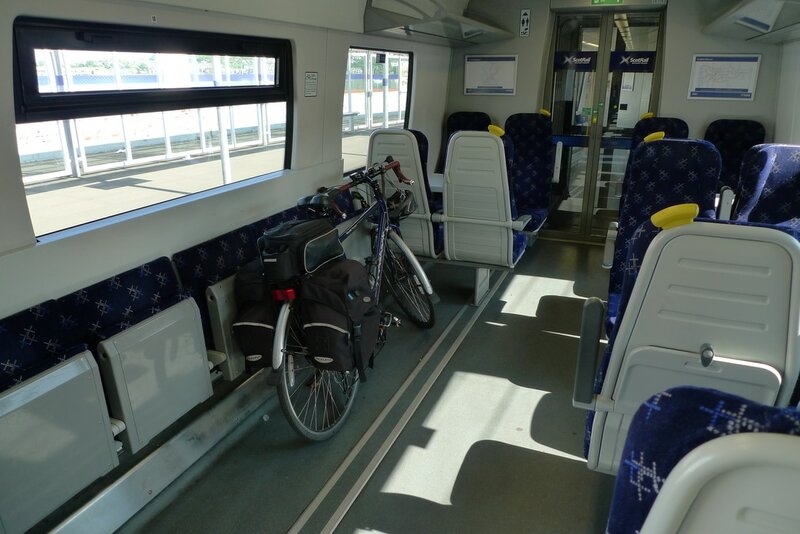 The good thing about the storage area is that there is plenty of space and it can take 6 bicycles, so the largest cycle storage capacity of any Scotrail train. 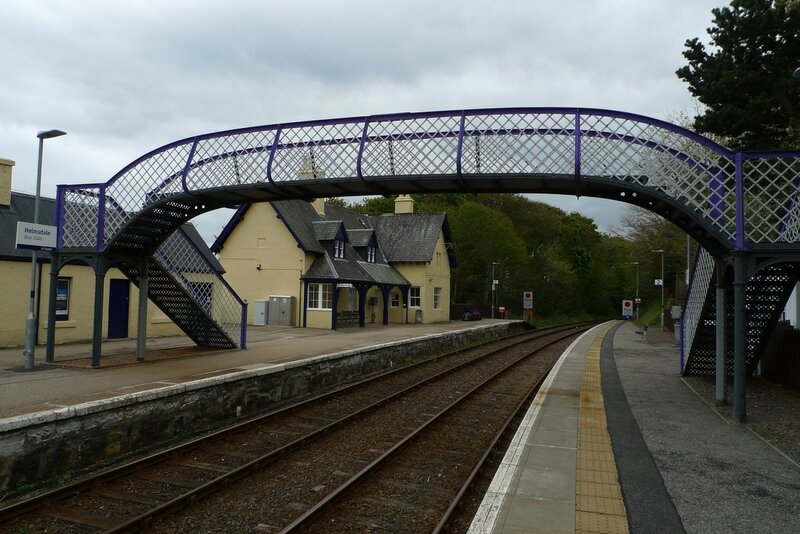 On the West Highland Line there is a good chance that there will be 4 carriages, which means 12 bicycles can be carried. More and more train stations have had lifts installed to make them more accessible. However, some stations, particularly in rural areas do not have these facilities. This may mean that you have to carry your bike across a footbridge. Before you do this have a good look around as there might just be another way to avoid using the bridge. There might be a side road that leads to a road bridge, perhaps a bit of a diversion, but worth seeking out if you find it too heavy to lift your bike over the footbridge. 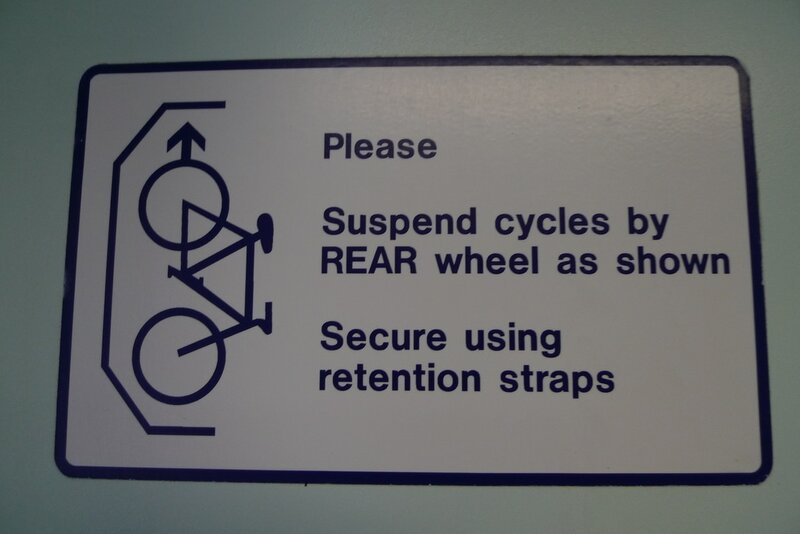 I have been taking my bike on the train for many years and I can assure you that it is straightforward. I don't want the amount of detail in my guidance to put you off, just to give you as much help as possible.